All firms are, of course, different. What matters is how differently they express their difference. Previously, we reviewed how firms used exhibition stands at the recent LSE law fair to stand out. Graduate recruitment stands: Canary yellow, anybody? This time, we turn our attention to graduate recruitment brochures. Your copy line and front-cover image starts to paint a picture of what it’s like to work for you. Typically, firms fall into one of two camps: promoting a “careers” message, or using a theme to articulate their proposition. With the first, many do little to capture the imagination of students or differentiate the firm. Concepts such as “opportunity” and “careers” are overused. For example: “Opportunity without limits” (Sidley), “Unparalleled opportunities” (Morgan Lewis) and “The opportunity of a lifetime” (PwC). Alternatively, “Press play on your career” (BLM) and “Your career starts now’”(Dechert). Most (if not all) firms could say something similar. This approach doesn’t do enough (in the mind of a student) to set the firm apart. PwC uses its spread, reach and resources to bring its promise to life, but other claims are less convincing. Roughly half the firms we reviewed use their brochure covers to kick off their propositions. Allen & Overy (“Made for more. It’s time”) comes top of the class, along with Linklaters (“Great change is here. Are you ready?”), Mishcon de Reya (“It’s not about the shape of things to come. It’s about the shapers”) and Taylor Wessing (“Trail blazing”). Each firm digs deep to say something truthful and distinct. Inside, facts and figures, testimonials, case studies, and opinions bring these propositions to life. Proof-points are important, too. Allen & Overy explains its approach, services, processes and culture as evidence of its strong commitment to change and innovation, making its claim compelling (and, ultimately, different). Mishcon de Reya might have the smallest brochure, but it packs a punch. The corporate positioning theme of “shapers” is woven into an easy-to-read narrative, scripted to appeal to students. The size, shape and feel of your brochure can say “different”. Nearly half the brochures we reviewed (45%) were A4, with others (Ashurst, for example) differentiating themselves by being shorter or broader. A square format was the second most popular choice (36%), with many opting for a standard 21cm x 21cm (Latham & Watkins, for example). A handful of firms, such as Hogan Lovells, produced shorter or larger versions in a move to create a more physical impact. Feel is a good way to show you’re different. The majority of brochures use a default option (coated paper), but uncoated has more tactile qualities (Herbert Smith Freehills’s is an example). A few firms use production techniques to embellish their stories. Taylor Wessing blazes a trail – both with its proposition, and its gloss varnish. But the final mention in this section must go to Davis Polk. It’s refreshing to see how its brochure came in a range of different-coloured covers. That certainly stood out. Not surprisingly, most firms project a modern feel through their brochures, even if that’s distinctly corporate (Covington). But few push the boat out visually. Of those that do, White & Case combines its graphic ampersand with a black, blue and white palette and strong typography that makes, overall, for a striking brochure. Previously, we applauded Travers Smith for its distinctive choice of teal. Sadly, we can’t extend that applause to its brochure. Though modern, it fails to build a convincing story (“Distinctive people. Distinctive thinking”). The best way to show your difference is to find a distinct story, then tell it well, visually and verbally. Allen & Overy does this. Its exhibition stand and brochure create a clear space in the market – and, more importantly, in the minds of students. 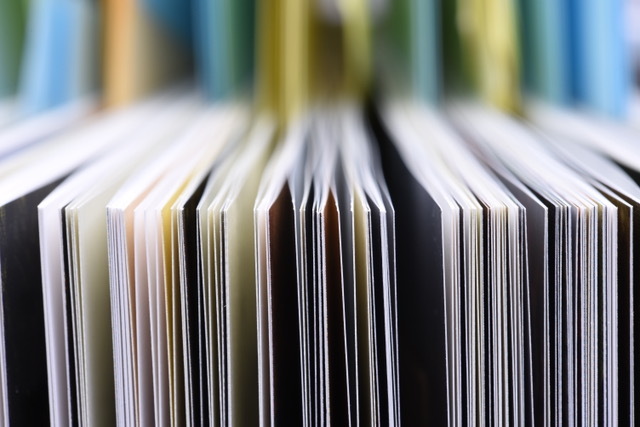 Five tips for getting the most from your graduate recruitment brochures? Dig deep to find a compelling story. Keep asking questions. Avoid clichés. What’s the point? Push your guidelines. Students like a surprise! Don’t stint. Opt for high-quality photography, design, copywriting and printing.